Venice is a maze of a city which is fun to explore amongst the winding alleyways and four hundred or so foot bridges, but finding a good place to eat can be tough. It has been given a bad rap when it comes to food because of all the tourist trap restaurants, but after having lived in Venice for a few years and trying out numerous restaurants, here is some important “to do” and “not to do” dining advice if you want to eat where and as the locals do. Tip: Beware of places that say “English menu”, “We accept credit cards”, “Tourist Menu”, or menus in more than three languages, because most likely they are catering to rookie tourists. However, if it says “Menu del giorno” (Daily menu), that is a better indication that they are most likely using fresh ingredients. 1. Un Mondo di Vino: This cicchetti bar has over thirty daily dishes to choose from, including two types of baccalà (a Venetian cod dish), eggplant parmesan, shrimp skewers with sprinkles of parsley and olive oil, stuffed baby peppers, stuffed calamari, and various meatballs. It’s a smorgasbord for those who want to dine Venetian tapas-style, with each plate ranging from €2 to €5. There isn’t table service here, but just a few bar stools and ledges to eat at, so don’t expect table service. 2. 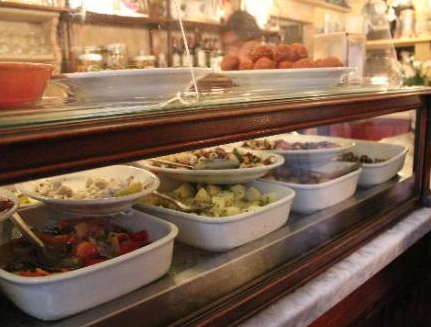 Alla Vedova: This is one of the oldest surviving osterie in Venice. The name, which means “widow,” doesn’t mean it’s a sad place at all. To get the best and cheapest meal, order directly from the entrance bar. The fresh polpette (meatballs) are voted number one as their best cicchetti at €1 each, but they also have regular Venetian dishes fairly priced if you prefer to sit down for your meal. Most locals just stand at bar or gather outside the entrance to eat the finger foods washing them down with a glass of the local house wine (also priced at €1 for a small cup). Tip: In most Italian restaurants, an asterix (*) on a menu selection usually means that the food being prepared was frozen, so avoid those dishes if you are looking to eat fresh stuff. 3. Trattoria alla Madonna: Located in one of the most animated districts of Venice, this efficiently-run restaurant has a coat check and plenty of authentic artwork covering the walls. However, the prices are sincere and the wine selection is great. They have some of the best local dishes for both seafood and meat lovers. 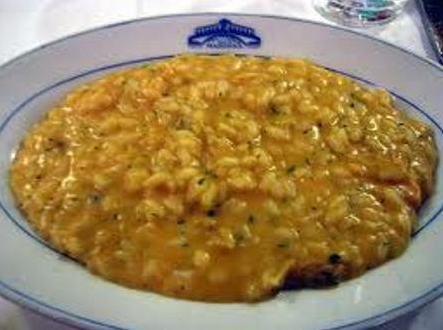 You can try their castraure (baby artichokes mostly grown on the agricultural lagoon island of Sant’Erasmo), seafood risotto (highly ranked amongst the locals), and/or their famous Venetian-style veal liver dish (aka fegato alla veneziana). Walking directions: From the Rialto waterbus stop, turn left at the foot of the bridge following the Grand Canal and go toward the row of tourist restaurants. Then turn right onto Calle della Madonna #594. Open daily except Wednesdays 12pm –3pm and 7 pm–10:30pm. Call for reservations, especially for dinner on weekends. They are located in the San Polo district. Tel: +39 041 522 3824. Tip: Venetian fishermen have Sundays off, so don’t eat at any seafood restaurants on Monday since the fish will most likely be two days old. Moeche - Soft-shelled crabs about three inches wide or smaller. Sarde in saor - Venetian sardine dish with sautéed onions, pine nuts, and raisins. Schie con polenta - A typical Venetian dish with baby shrimp and polenta (corn-flour patty). 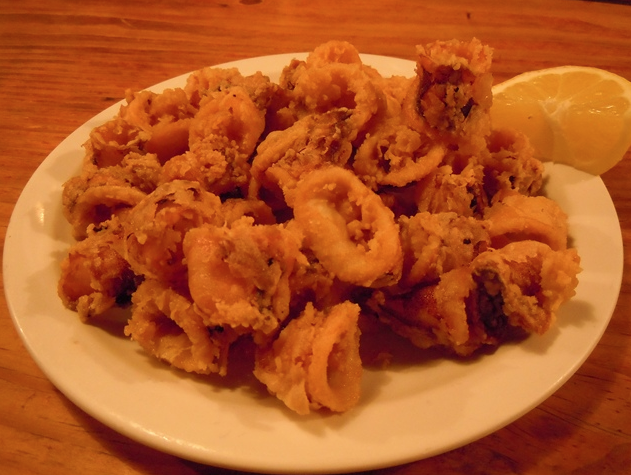 Frittura - Mixed fried calamari, baby octopus and shrimp. Bigoli in salsa - A type of whole grain spaghetti mixed with pan-fried sardines and onions. Buon appetito! About the Author: Bianca Reyes is the author of Venice for Rookies, an independent traveller’s city guide full of insider info, travel advice and savings tips for Venice. While she isn’t eating her way through Italy, she enjoys blogging about authentic travel and updating the world about the latest events in Venice via Facebook and Twitter @Travel4Rookies.